After a phenomenal win in front of a professional scout, your child is selected for the national soccer team. At the championship game, even though nervous in front of the large crowds and TV cameras, your child scores the tie goal. In the final three minutes of the game, the crowd goes silent just before your child scores to win the game! 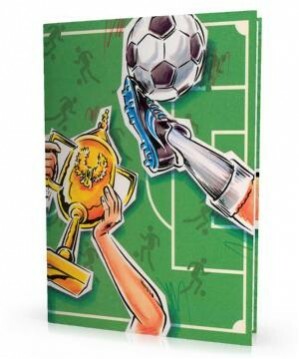 This personalized story is a thrill for soccer fans of all ages. This is a quality hard-cover personalized children's book.